Formerly known as Strawberry Gummy. Image for reference only. Strawberry Blast and Strawberry Gummy are the same flavor and packaging received may differ. Looking for a vape juice to satisfy your sweet tooth? 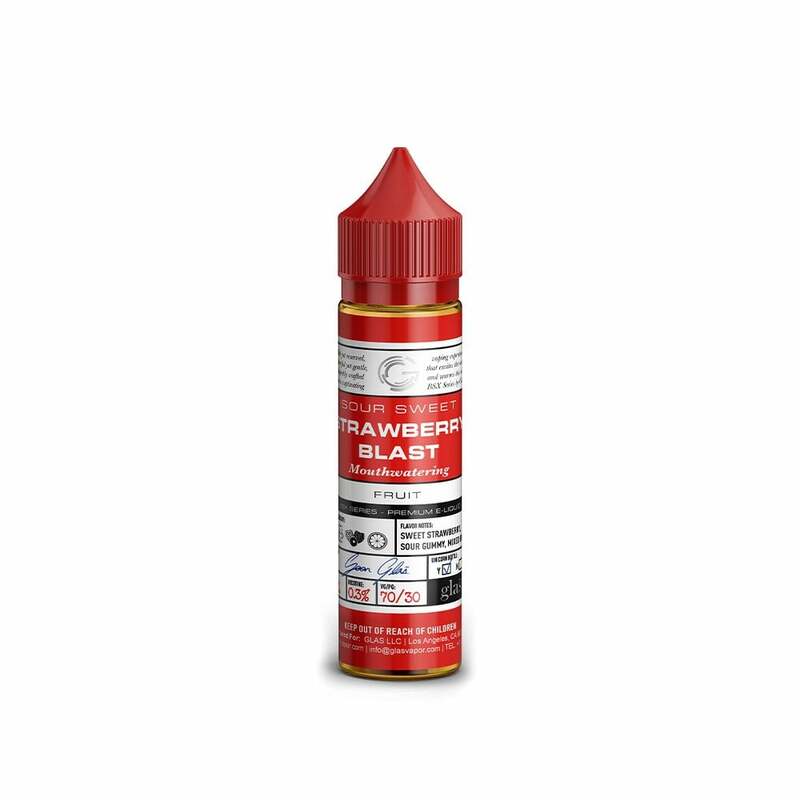 Look no further because Glas Vapor has your back with Strawberry Blast. Vine-ripe, fresh strawberry flavor masterfully combined with a hint of sour gummy candy is sure to impress any candy vape juice connoisseur. Tasty and sweet, just like strawberry gummies! This is my favorite vape brand so far. Flavors are bold and delicious.